It is a very bright wide room (28 Sq.m.) on the first floor of the structure and it consists of windows that have got their views on our hotel’s interior pinewood. 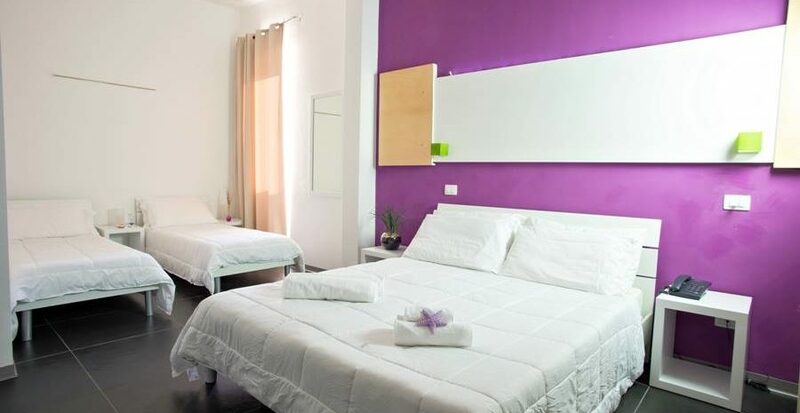 These kind of rooms are ideal to welcome families with boys/girls or groups of friends; they are composed of a double room and two single beds with private services included. You can find also modern furnishings, a bathroom with a great and wide shower cubicle, a Tv, Direct Telephone, minibar and safe.